In last article we have seen about the 3rd level of software testing process. 3rd level is define under two layer. First is Test Implementation and second is Test Execution. We have covered Test Implementation in previous article. Now let’s move to the Test Execution process. Below are the Test Execution procedure. Test Execution also have some task just as Test Implementation. We have collected data in Implementation procedure now we need to execute same data in Execution phase. By following this task Execution Set up will be done by testing Team. Test suit is combination of test cases. As we have seen in Implementation, Test Suit can be divide in Modules and each test cases related to each modules can be bifurcated in Test Suit. Here we need to take care that which module is integrated or dependent on other modules. As per the requirements of module execution we need to manage Test round. For Example, Create_Customer is one Suit and Generate_Order is second suit. Now as we know without creating the customer, Order will not be generated for respected customers. Thus, here we need to plan for executing Create_Customer suit first. After execution of each test cases for Create_Customer suit we can move to Generate_Order suit and execute each test cases for same. This seems perfect testing but here one condition is applied, If Create_Customer will have critical issues then testing team can’t move further for integrated and dependent suit. Suppose, Customer is not saved and that test case is failed in Crete_customer suit then there is no need to execute test cases of Generate_Order suit. Thus, if critical test cases are failed in parent suit then child suit will not be executed. After completing the execution of all Test Suit we need to post an issues regarding fail test cases. Once this may solved by developer team then they will inform testing team to retest the issues again. Afterwards Testing Team will be verify the same issues and execute that failed test cases which have been marked as failed in first round of testing and it must be passed in second round of testing or we can say that while retesting. Here to mark the round of testing we can create versions and log the outputs of the testing rounds. This is called Test Log. In Test log we have to mentioned the test cases and test suit name which we have executed, Test execution date, Test executor details, Test versions, what is the status of the test cases like it is passed or failed, round of testing we are performing. We have to prepare one document in which this all description is written that is called Test log. Test log is used to monitor the testing procedures. We have to maintain it throughout the execution phase. 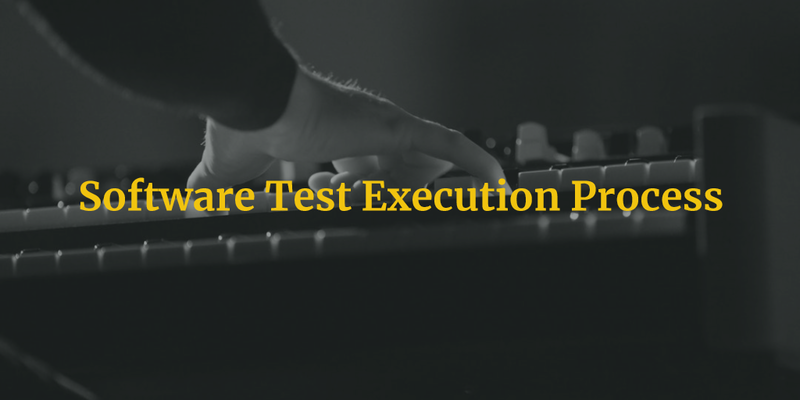 We can mail the test log to the team once in a week for determine the process of execution. Now here we need to verify the actual result and expected result of test cases. 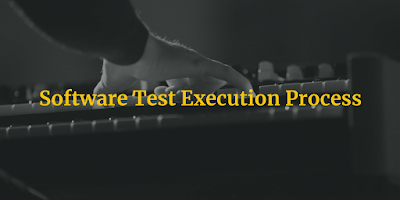 While writing the test cases we have already define the expected result of the written scenario but while executing the same test case, What if that expected result will not come for the application or software. While this situation is happened during test case execution, we need to mark that test cases as failed and what is the actual result is coming on screen that needs to be mentioned in Actual result column. The purpose of mentioned the actual result is, while retest the same test case, expected result only displayed on screen. Then and only then that failed test case should be marked as Passed otherwise we have to mark it failed again if actual result will be coming again in the 2nd round if testing or retesting. A status report of passed and failed test cases is maintained in test execution phase. Daily status report should be mailed in team for respected application and software so tracking of the test cases can be managed. Like how many test cases have been executed today and how many of them is passed and how many of them is failed. This must be declared with the name of test suit. This all are the procedures which have been followed in test execution phase.